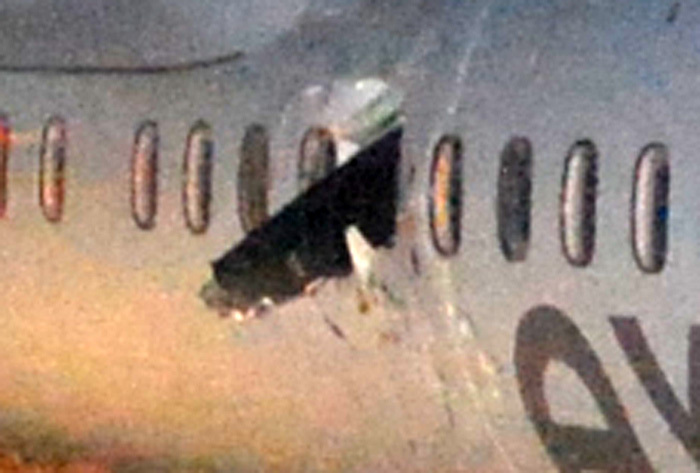 The right propeller of an Air Canada Express Bombardier Q400 smashed through the window, almost hitting one passenger. As the Q400 turboprop (C-GGBF) took off from the Calgary airport en route to Grande Prairie (Canada), the airplane experienced a blown tire. 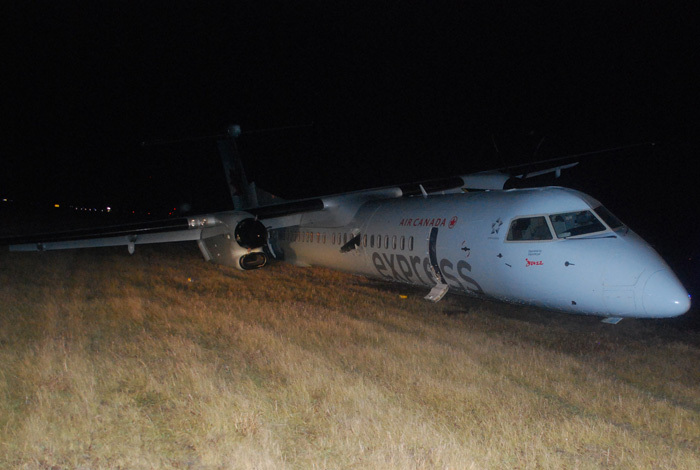 Strong winds at Calgary made the crew decide to divert to Edmonton to carry out a forced landing there. During the emergency landing the gear on the right hand side of the plane collapsed, causing a propeller blade to break off and penetrating the fuselage.